Tumbled Triesta Limestone is another limestone in our range which is exceptionally high density, and very low porosity. The consistent earthy grey and beige tone of the stone is very popular in the UK and we have received excellent feedback on the price we are able to offer the large format tiles we keep in stock. Our Egyptian supplier uses Italian stone machinery to ensure quality of the finished product. The tumbled edges and lightly antiqued surface give this stone a reclaimed feel as well as a naturally worn look. 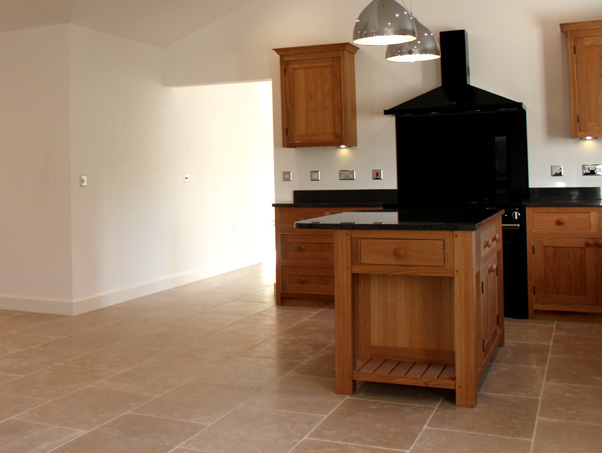 Other UK suppliers also call this product Dijon Limestone Flooring. Please order a free sample online or called for a quotation, or add the product to your basket to buy online.